The Somali Community Association of Ohio (SCAO) is an officially recognized 501 (C)(3) non-profit organization founded by Somali community immigrants in 1996. 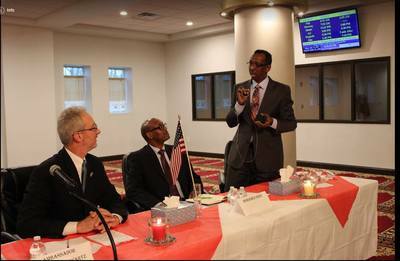 SCAO was the first grass-roots Somali organization in Ohio, and the first to provide services to the Somali community. Mission: We advocate and promote self-sufficiency for families through employment, education, cultural and social support, and economic empowerment. We serve elders, adults, teens and children at no charge. Special support and attention goes to recent immigrants who seek to create new lives in the United States. Somali refugees and other immigrant communities settling in central Ohio face many challenges relative to housing, employment, education and healthcare. SCAO is committed to providing support in all these areas. Learn more about our services. Read more about SCAO below, with information under the headings Background, Somali Success, Challenges, SCAO Services, and Looking to the Future. 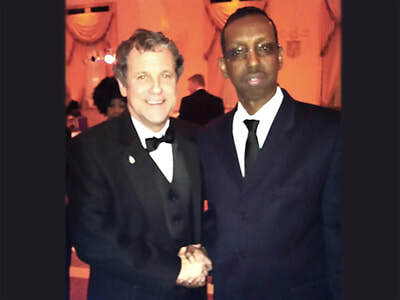 Sherrod Brown, U.S. 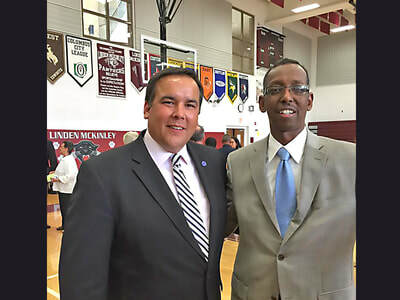 Senator from Ohio, with Hassan Omar. In 1991, Somalia descended into a civil war that continues even today. An entire generation grew up knowing no life except for war. Many countries including the United States stepped up to welcome refugees from Somalia. Today two million Somali refugees live all over the world and over two hundred thousand live in the United States. 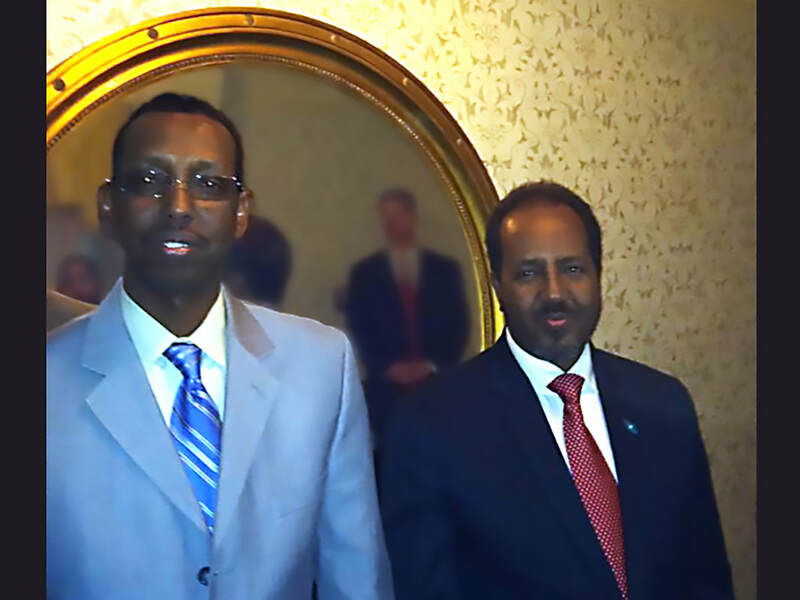 Columbus, Ohio is now home to one of the largest Somali populations in the U.S., second only to Minneapolis, Minnesota. Learn more about Somali history. 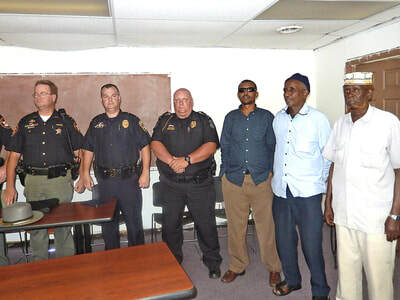 The Somali Community Association of Ohio (SCAO) was founded in 1996 to help thousands of refugees relocating to Central Ohio. Funded by grants, fundraising activities and donations, SCAO has helped over 45,000 clients to date, providing support regardless of color, ethnicity or religion. A primary focus is on immigrants and refugees from Somalia. The organization's mission is to make integration into American society as smooth as possible by providing essential services to those in need. As the primary organization serving Somali immigrants and refugees in the area, we maintain a high standard of accountability. An annual audit ensures our services are provided in the best, most efficient way possible. An estimated 45,000 - 50,000 Somali immigrants have made Columbus, Ohio their new home. Many of the immigrants have relocated to Central Ohio from other U.S. areas. The city has a low cost of living, affordable housing and entry-level job opportunities. 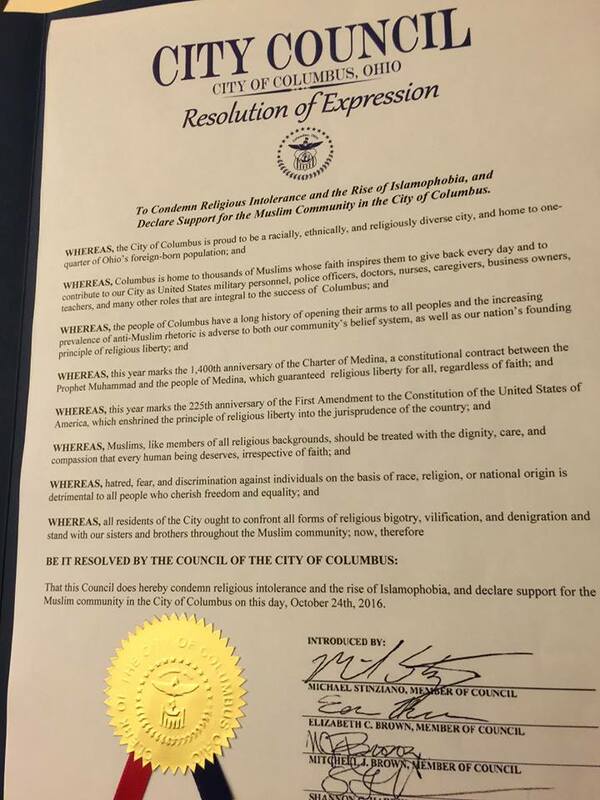 Refugees also found that the people of Columbus are tolerant of different races and beliefs. 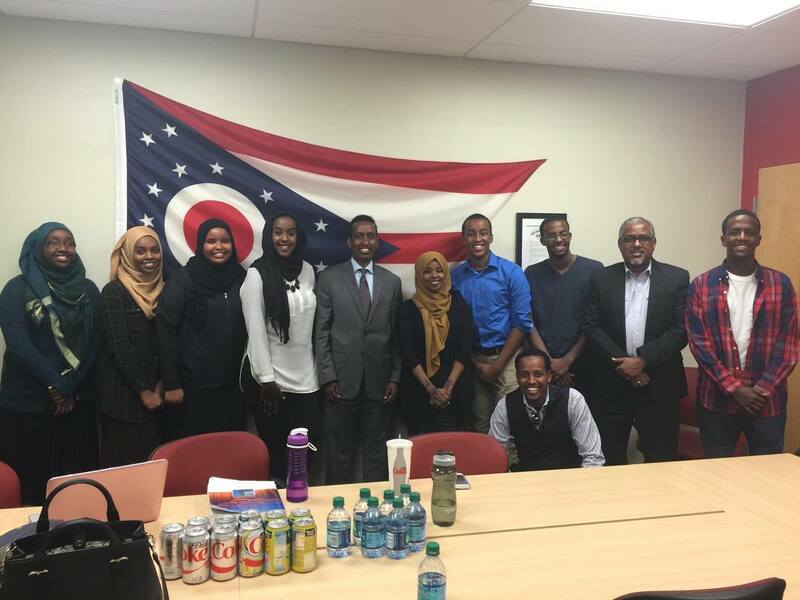 Somalis in Columbus have shown a tremendous amount of growth over the years. The staff and volunteers of the SCAO educate and encourage people to become U.S. citizens. Our initiative has helped many Somali youth become the first in their family to attend college. 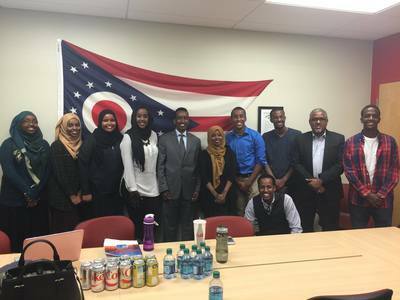 When we started in 1996, the local Columbus State Community College and Ohio State University didn’t have a single student of Somali descent. 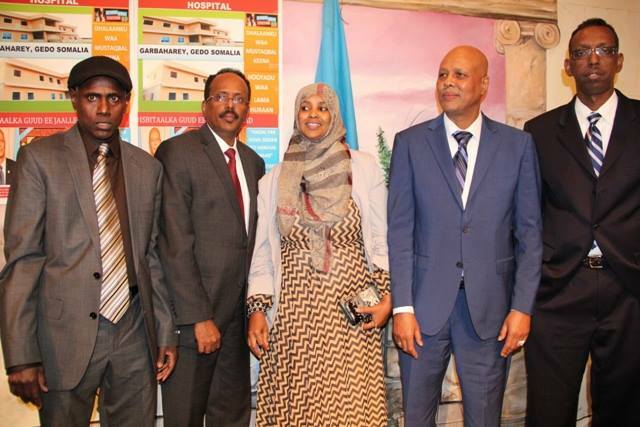 Now, both schools have active Somali Student Associations. Former students still stop by and volunteer to help with youth programs. Columbus State Community College even has the word “welcome” translated into Somali on its signs. There has also been much economic development among the Somali community with many starting their own businesses, restaurants and shops. We estimate over 500 Somali businesses ranging from Mom & Pop shops to shopping mall venues are creating a positive economic impact in Columbus today. The Somali businesses thrive because of the high demand for goods not found in other stores, and due to the tight knit nature of the community. Many Somalis shop almost exclusively from these businesses, which make these businesses important pillars of the Somali community. The SCAO supports entrepreneurship through partnerships with community organizations that offer assistance to immigrants striving for financial independence. Many Somalis in Columbus are facing cultural and language barriers that cause difficulties in obtaining both employment and education. Some Somali youth have low academic achievement due to their and their parents’ lack of education in Somalia. Many youth come to the United States with illiterate parents and a 3rd grade education, if any at all. Many refugee families who lack English language skills are unfamiliar with the education system. They look to the staff and volunteers of SCAO to help with school enrollment, after-school tutoring and mentoring for their children. Above average school drop-out and unemployment rates exist among Somali youth 17, 18, 19 and older who were not formally educated in war-torn Somalia or neighboring refugee camps. In the U.S., many are placed in grades with younger students and feel out of place and eventually drop-out. This can easily lead down the wrong path. Some youth are at risk of involvement with alcohol, drugs or gang activity. The SCAO, along with our funding partners, promote and provide programs that help create financial independence, a safe haven and positive role models to counteract these negative influences. Students who attend and complete computer literacy classes in the SCAO’s computer lab receive certification for Microsoft Office Skills Training, greatly enhancing their opportunity to obtain and retain employment. Housing presents a special challenge due to large family size, language barriers and lack of understanding of local housing practices. This results in overcrowding, evictions, complaints about fair housing practices and, at times, allegations of corruption. Senior citizens face special challenges and a higher risk of losing health care. Many refugees qualify for special Social Security Income (SSI) as they work toward U.S. citizenship. Those who do not attain citizenship within 7 years risk losing their SSI benefits including medical coverage. This requirement often results in termination of benefits for the elderly, for whom learning a new language, culture and history is an overwhelming task. SCAO's services are carefully designed to address these challenges. In recent years, however, a funding shortfall has negatively impacted much-needed intervention programs. Please visit the Services page to learn more. The ESL program has been in existence since 2000 and has helped hundreds of immigrants and refugees over the years. The program’s goal is to facilitate the understanding and use of the English language through biweekly ESL classes. In these classes, reading and writing is taught as well as oral communication. Students learn grammar and vocabulary as well as how to apply it within an American context. Through these classes students not only learn English, but about American culture as well. SCAO has a case manager on site for all clients to ensure information is recorded, filed and kept confidential. Cases vary between our legal, housing and employment services. Case managers coordinate with families in need to provide one point of contact to facilitate successful resolution to problem(s) and/or to link to services sought by the person or family. Connections are made to SCAO and other nonprofit agency programs. Examples include ESL courses, referral to medical services (facilitate appointments), social service referrals, youth enrollment in school and after school programs, housing referrals and assistance, legal aid referrals and more. Many Somalis have trouble finding work due to cultural and language barriers. In response we have offered classes focused on job search techniques, basic computer skills, resume writing and proper interview etiquette to improve the chances of securing a job. We also strive to educate and encourage community members to create more jobs through small business. ​We believe that entrepreneurship will not only increase the spending power of the Somali community, but also create jobs in Columbus and improve the local economy. We believe that through job training seminars and vocational training in areas such as business and healthcare, Somalis can give back to the community while they work to attain the American dream. Due to the cultural and language barriers that many immigrants and refugees have upon coming to the United States or a new community, we provide our clients with assistance in searching for housing and filling out the necessary paperwork. Overcrowding has become an epidemic, and as a result there has been a high volume of eviction and misunderstanding. 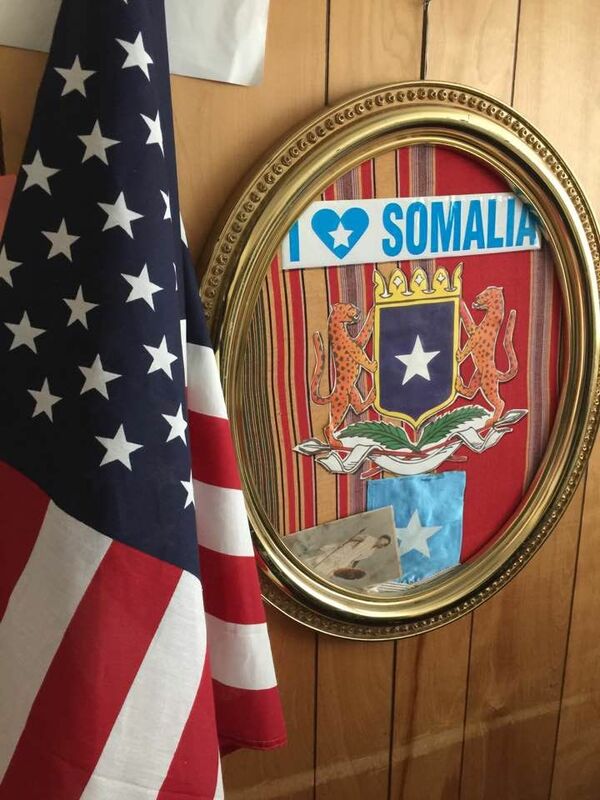 With language barriers and a lack of understanding of the system, there have been complaints about fair housing practices and mistreatment of Somali immigrants, in addition to allegations of abuse and corruption. SCAO endeavors to assist with these situations. With all of the legal procedures required to become a U.S. citizen, we assist many clients with this process, especially those who want to transition from refugee to U.S. citizen. We also work to ensure that the legal rights of our clients are being upheld while residing in the Columbus area. The SCAO strongly targets programs for our youth because they are the future. It is very important to teach immigrants and especially refugee children the tools they need to integrate into American society. We seek to provide youth with positive American values, while emphasizing the importance of retaining their identity and integrating it with their new American identities. Overall we help youth increase their self-determination and confidence, while helping students overcome language, culture and psychological barriers that may hinder their success in academics. Iska jir means do good or watch out! 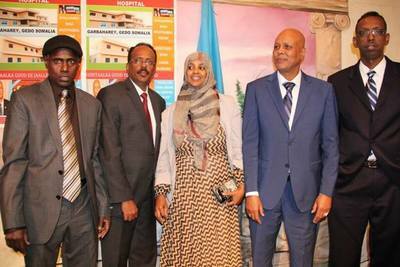 It is an outreach program designed to assist and help Somali youths between the ages of twelve and twenty. The intervention activities include but are not limited to information dissemination, youth activities and events, and other interventions and supervision to reduce and prevent violence, criminal behavior, gun ownership and gang membership. This program delivers breakfasts and lunches to hundreds of low-income youth who qualify for the free or reduced lunch program. Throughout the summer months, SCAO provides meals to the most needy of youths throughout Columbus and Central Ohio. This yearly program helps teens find jobs through the support of the Central Ohio Workforce Investment Corporation (COWIC) and the Ohio Department of Education. Every summer the SCAO encourages multicultural friendships and crime prevention with integrated soccer teams, which help students of different backgrounds learn to work together as a team while staying fit and healthy. In addition to SCAO’s long track record of assisting Somali immigrants in central Ohio, we have highly experienced staff members who have been in the social service sector for over a decade and who have a passion to help immigrants and refugees. 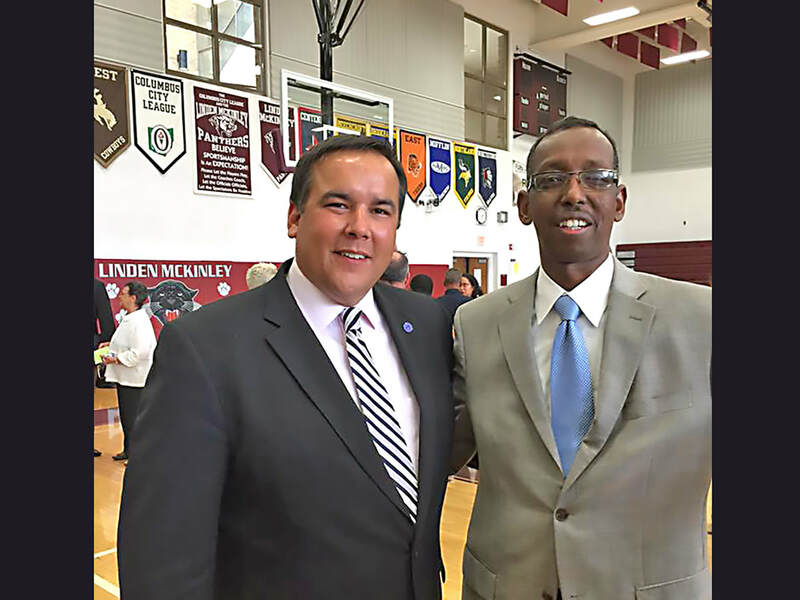 We have the drive and potential to not only meet the needs of the Somali community in Central Ohio, but to exceed expectations and be a stand out leader in the Columbus community. We will continue to work with the immigrant population and aim to become self-sufficient in the years to come. 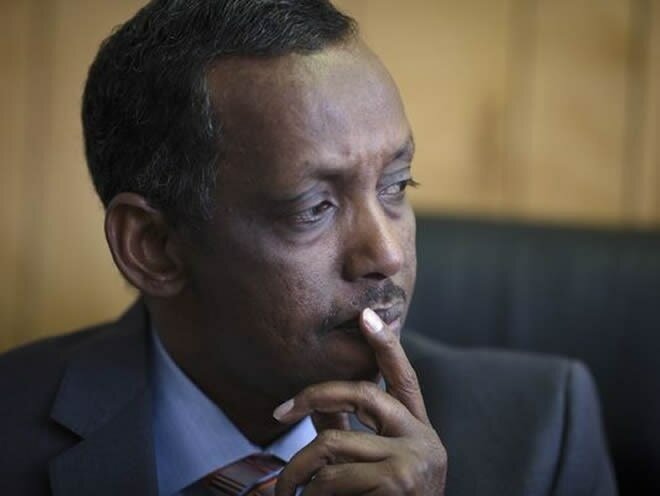 However, there has been a funding shortfall in recent years that has negatively impacted SCAO’s ability to provide crucial support the Somali community so desperately needs. Without these funds, it is very likely that thousands will go without the basic services we provide, decelerating their acculturation to mainstream American society. The Somali community in central Ohio has grown and matured significantly as many immigrants have become settled. We’ve seen a growth in businesses, social relations between different groups, and even an increase in political muscle with tens of thousands of Somalis eligible to vote as U.S. citizens. Through entrepreneurship, we have made a positive impact on many areas in Columbus that were, in the past, economically depressed. Our college students and graduates have big dreams and the potential to make a real difference in their chosen fields. Still, we lack recognition from city, county, state and other representatives, despite the strong Somali presence at all levels of our society here in central Ohio. We believe better public relations will lead to progress in hiring Somalis in local government agencies, and funding for programs that are vital to keeping this success going. 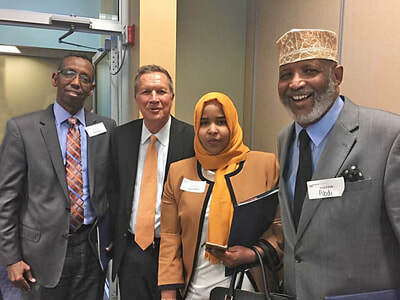 We hope to improve this issue and ensure that Somalis in Ohio are receiving the recognition they deserve and the associated benefits with an improvement in relations between the city and other organizations. Our new website introduced in September 2017 at www.somaliohio.org is intended to enhance public relations for the Somali community in Central Ohio. Many Somalis graduate every year from local universities and colleges. However, some of these graduates have difficulty obtaining employment despite solid grades and proper background. Some of these individuals opt for driving trucks or other relatively low skilled jobs instead of the jobs they’re qualified for. We believe that for the community to prosper, it is necessary to help these professionals obtain employment and set an example to the next generation of Somali youth graduating from these colleges and universities. SCAO is fully committed to helping Somali immigrants integrate successfully into American society, and utilize the rights, responsibilities and opportunities available to them. As such, we will continue to strive towards better understanding between community groups in the city and state. With a large and growing community of first and second generation Somali Americans, we believe that SCAO is crucial in ensuring every individual has the ability to participate fully in society and fully integrate as new Americans.